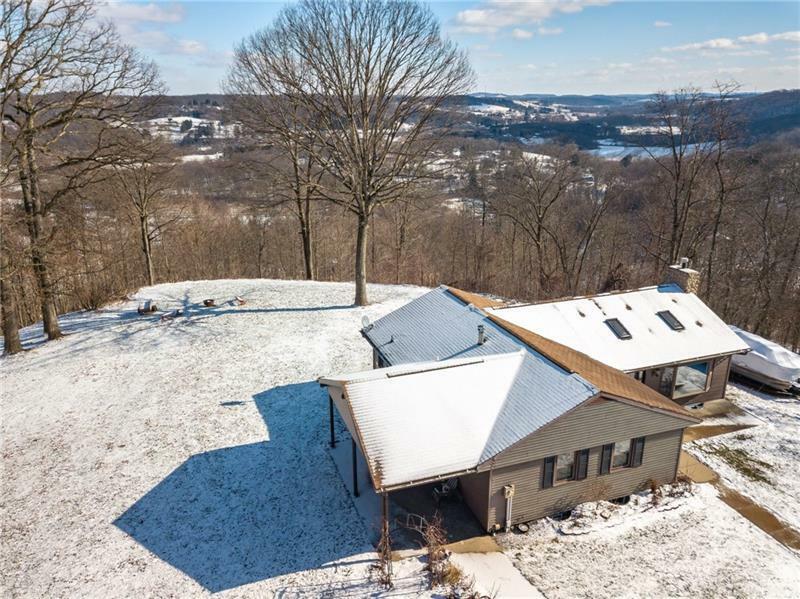 Camouflaged at the end of tiny road sits one of New Sewickley's best kept secrets. 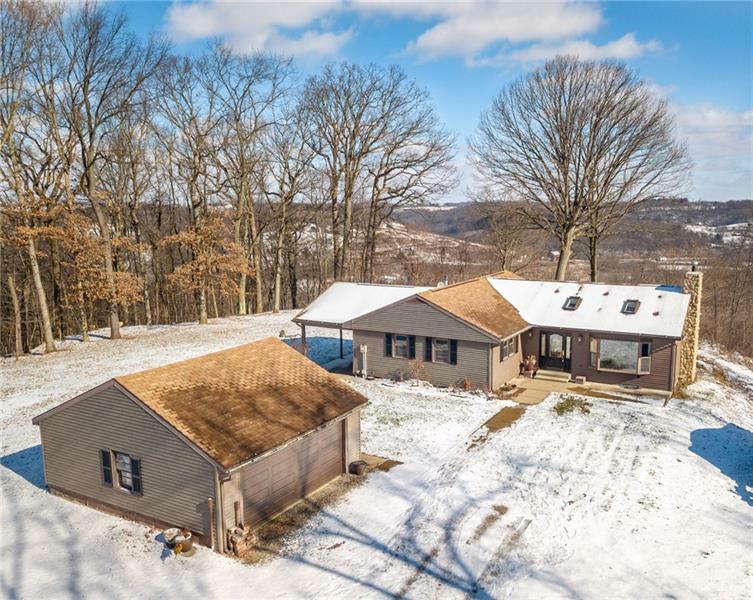 This uniquely designed ranch home with it's warmth, charm a touch of rustic appeal make it a great place to call home. The large picture window and cathedral ceiling w/skylights flood the great room with natural light at day and the stone gas fireplace with warmth at night. The 24x24 finished space in the lower level w/wall to wall closets makes for a perfect master suite. Additional living space is more than generous in size. 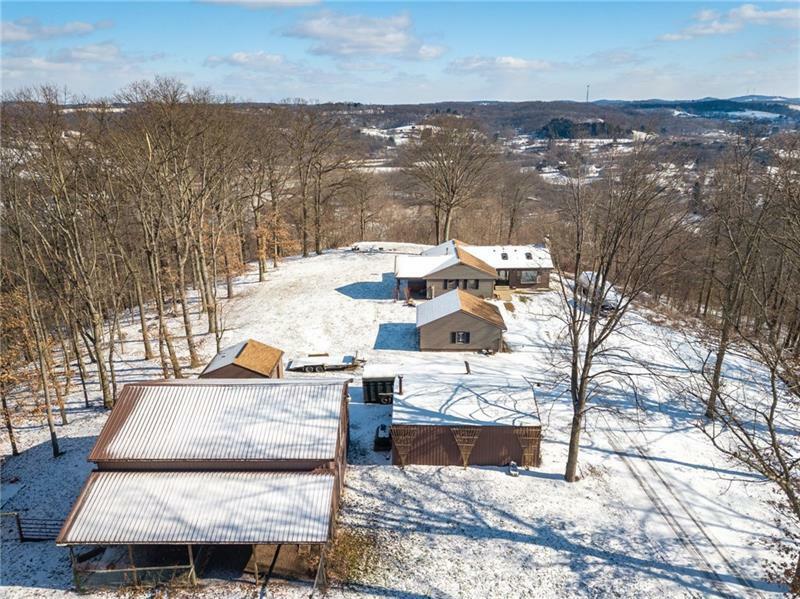 Serenity abounds this 14.91 acre parcel with it panoramic views will appeal to the the great outdoors person in anyone. 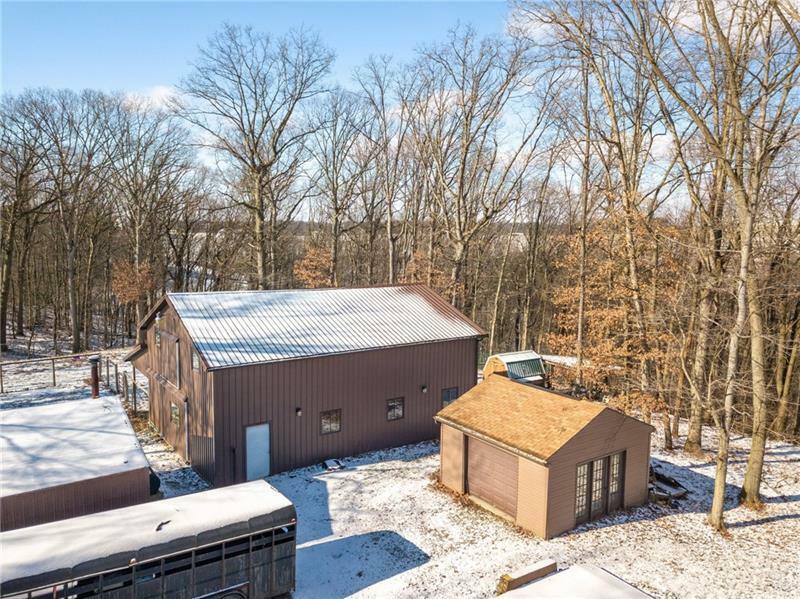 In addition to the 2 double occupancy detached garages, storage shed, 6 stall Amish built horse barn with fenced pasture and miles of quad trails you will have found the complete package.